Today marks one year to go until Team GB competes at the Rio 2016 Olympic Games. Marketing spoke to Olympiad Ben Ainslie and Team GB marketer Leah Davis about the plans. London was a magical place to be three years ago, it’s hard to believe now we find ourselves swamped with headlines about house prices and cost of living swelling higher than ever. The challenge Team GB now has is to resurface the optimism and somehow transport it (roughly) 5,600 miles to Rio De Janeiro this time next year. Many of the sports stars representing the country will have competed to a home crowd last time and helping them compete so far away from home is a task that Team GB, the British public and the team sponsors will carry on their shoulders over the next 12 months. The Team GB plan for this year revolves around some key initiatives and the messaging ‘Bring On The Great’. Firstly, a set of eight ‘Team GB Greats’, consisting of former medal winners that will champion the games and mentor competing athletes. Marketing spoke to Team GB Great and Olympic gold medalist Ben Ainslie, who said the closeness created by technology like social media between athletes and fans would be even more important. He also references the second initiative, the Team GB Fan Club, as a key way to drive support. He said: "In some ways it’s more important [to build support through digital channels] because you are living and competing in a bubble. "You know everyone's back home and it is hard for the message to get through. You want to step off the plane and realise there has been a groundswell of support and now with social media we can. This is also why we need to push fan club support back home," he says. Other Team BG Greats include Becky Adlington (Swimming), Chris Hoy (Cycling), Anthony Joshua (Boxing), Denise Lewis (Athletics), Steve Redgrave (Rowing), Sarah Stevenson (Taekwondo) and Beth Tweddle (Gymnastics). 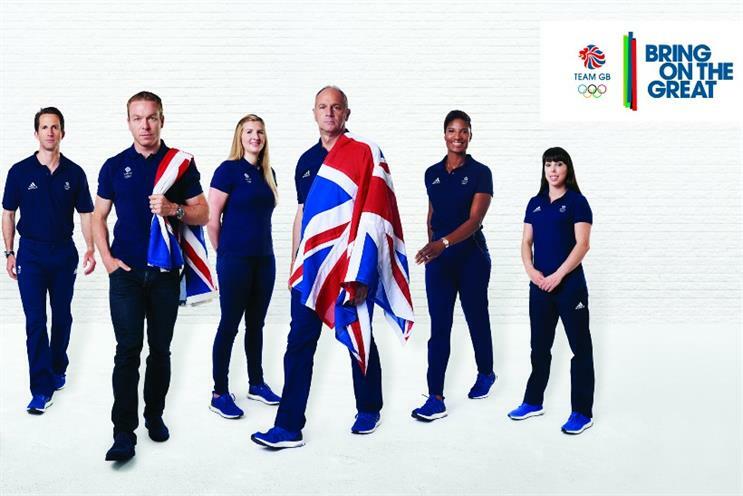 The sheer level of support garnered in the home games last time presents Team GB with a unique challenge over the next year, according to Leah Davis, BOA head of marketing, who led the project. She said: "There is a big difference from where we are today and where we were with a year to go for London 2012. "We’ve noticed a huge halo effect and people generally are more interested now. I think the level of interest is higher and growing." "It’s a different challenge from a marketing point of view. We’ve established Team GB shown by how engaged people have been. We need them to show it even though it’s not on home soil. "Bring On The Great is about trying to engage and get them to show support because it’s more important now than ever to feel support of a nation together." TeamGB.com will act as a hub for the activity, and will host the Fan Club and news about the team's progress over the year. Team GB sponsors for Rio 2016 include Aldi and DFS. Let the Olympic countdown begin: 500 days to go!